We are experts when it comes to family holidays! Holidays = family time! We offer inexpensive package deals for families (including accommodation in family rooms). Many advantages for families with children: quiet and safe location, well-structured, large playground with trampoline and many toys and toy cars. We know that parents can only fully enjoy their holidays when their little ones are kept busy and happy. 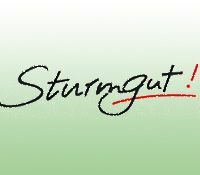 We are a founding member of "Stodertaler Zwerge", an initiative promoting family holidays since 1997. Together with our partner businesses we offer a varied family program six days a week. We are a founding member of the "Wanderspezialisten Nationalpark Kalkalpen" initiative and promote walking holidays in Austria during off-peak season. Walking in the Stoder Valley makes for an unparalleled nature experience at any time of the year. Marvel at flower-strewn meadows in spring, and enjoy mild temperatures and clear views in autumn! Located on a lovely plateau at an altitude of 800 m above sea level, our house is the perfect base for numerous walks and hiking tours. We offer numerous facilities and amenities for walking and hiking enthusiasts. Your host is a qualified mountain guide and will be happy to show you the most beautiful spots in the area. Hinterstoder Alps offer well-preserved nature, a wonderful mountain scenery and mony "soft mobility" eco-friendly offers for sustainable tourism. Hinterstoder Alps is only one of 21 resorts in Austria, Germany, Italy, France and Switzerland to be entitled to carry the official name "Alpine Pearl". The area boasts wonderful panorama, great infrastructure and is perfectly connected to public transport - a sign of its commitment to "soft mobility" - sustainable, eco-friendly tourism. Easy to reach per train from all parts of Europe, the area offers many special deals - let us take care of your luggage and use our shuttle buses to get to your hotel. Other eco-friendly offers include free bike rental, free use of public transport, taxis, rides on horse-drawn carriages, free use of cable cars and many hiking trails. We have a whole host of baby and child facilities readily available for you! Save on luggage and make full use of our facilities! baby cots, children's beds, baby and child ware, tubs, baby monitors, diaper changing units, diaper bin, high chairs, switch covers, prams, buggy, baby back carriers etc. Please tell us what you need when booking! Even if you're not staying in an apartment, you can prepare meals for your baby any time of the day. We have a guest kitchen on the first floor which is open 24 hours a day. There are a microwave oven, two hot plates, a fridge, a bottle warmer and crockery. The same applies to toddlers' and children's laundry.